It’s probably no surprise to you, but the 2018 Climate Report is in. 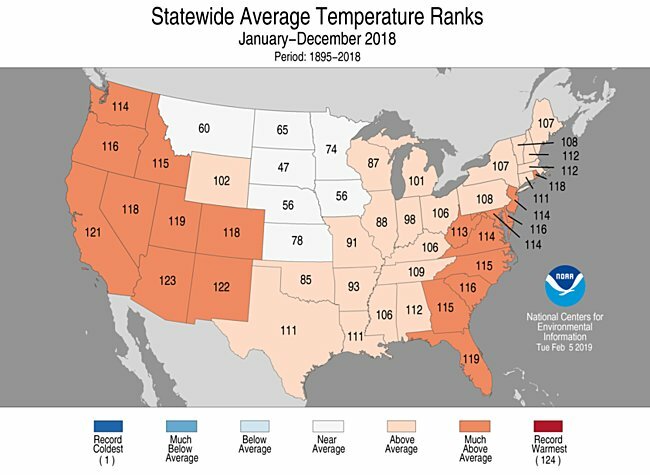 Last year was a lot warmer than average. 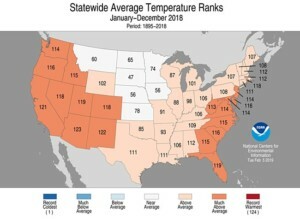 South Carolina’s average temperature was the 116th warmest out of the 124 year record. You’ll also notice that the temperature across the US was a good bit warmer than average. 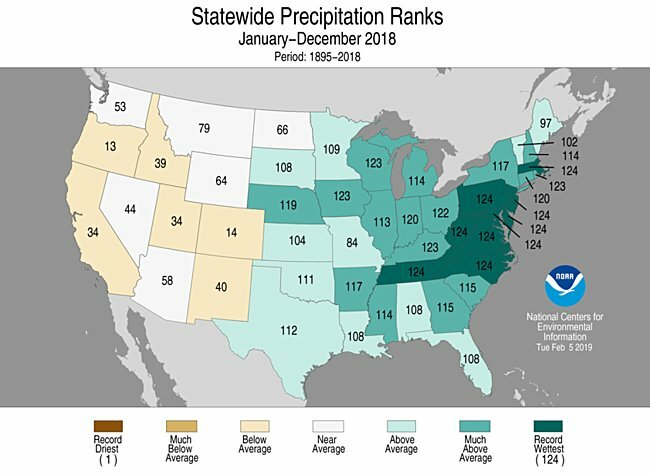 As for rainfall, it was 115th wettest out of the 124 year record. The rainfall was generally split with higher amounts in the east and lower amounts in the west.